Tension set princess cut diamond engagement ring precision set with 0.26 carats of princess cut diamonds with crossover shoulders. Our charming ring features a set of perfectly matched, precision set Princess cut Diamonds. 0.26 carats total Diamond weight, set in a Tension setting. 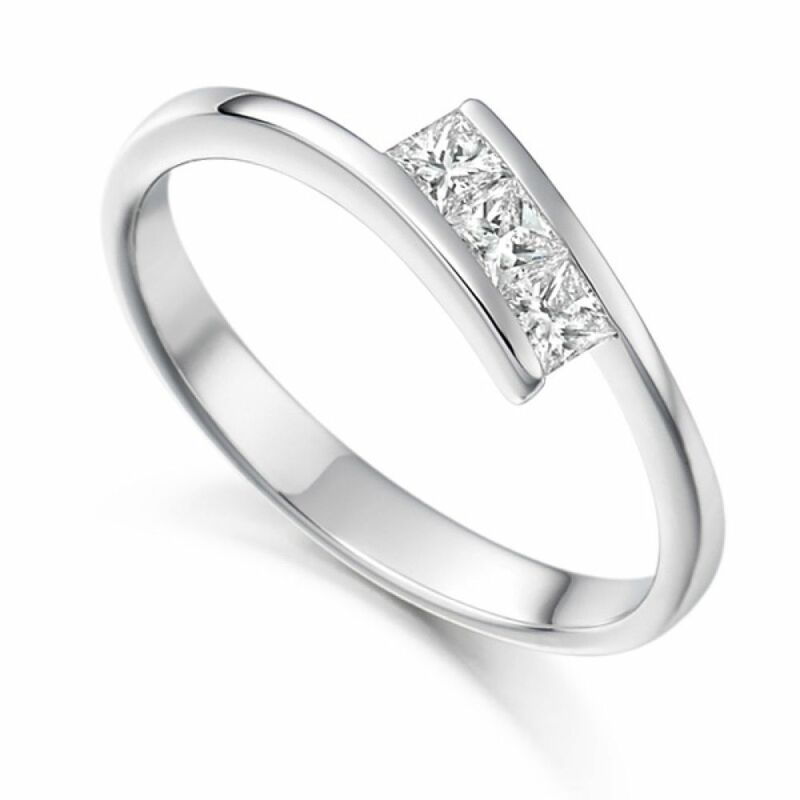 The setting is a fine, graceful slim crossover with shoulders that embrace either side of the setting. Each Diamond has been expertly graded F Colour and VS1 Clarity prior to being set into the ring. Offering Platinum, Palladium 18ct Rose Gold. 18ct White Gold and 18ct Yellow Gold as options for the finish of your new ring. We can create this gorgeous ring for you in 3-4 weeks and will be sent to you in our bespoke packaging with a slim pocket box. For your peace of mind we also provide a 60 day returns policy and a free ring size adjustment if needed. Service rating :Words can't describe how professional and customer focused they are. From the initial phone call I made to them, to placing the order and constant email contact, world class. Plain and simple.